Many people have upgraded to iOS 12 to experience the dynamic features. While, some are swooned by its enhancements, others have found out that the notes disappeared after iOS 12 update. This article is dedicated for those who have incurred a loss of data and looking out for some good handy tips. We have come up with 6 useful solutions for recovering the lost notes on iPhone X/XS/X Plus/8/7/6/6 Plus/5s, iPad after iOS 12 update majorly surfaced after the update. Read below. 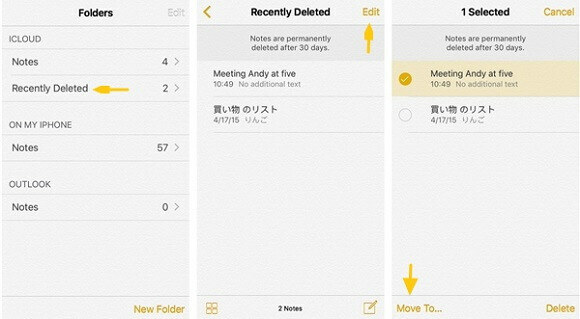 Part 1: How to Fix Notes Disappeared after iOS 12 Update? Part 2: How to Recover Lost Notes on iPhone/iPad after iOS 12 Update? 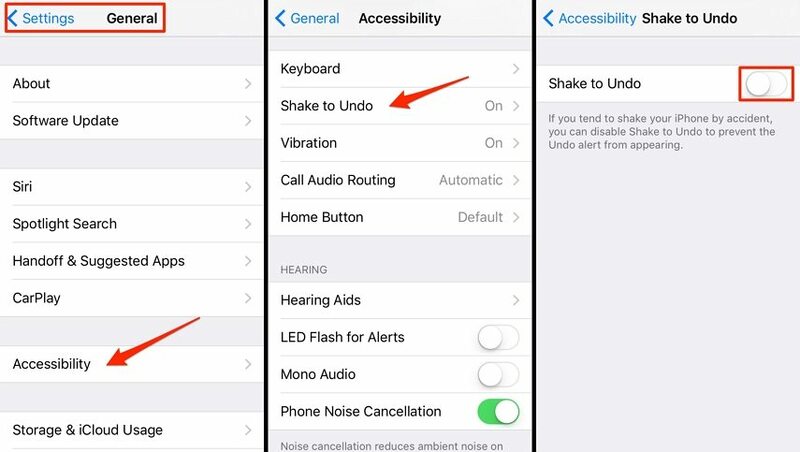 In this section we will learn how to fix notes disappeared after iOS 12 update with these three easy to do solutions. iPhone 6s or below: To restart, press 'Home' and 'Sleep/Wake' buttons simultaneously until apple logo does not get displayed. iPhone 7/7 Plus: Hold 'Sleep/Wake' and 'Volume Down' button together until the Apple logo appears which will indicate that your iPhone has gone a restart mode. iPhone 8/8 Plus/X: Press and release the 'Volume Up' button quickly. Do the same with 'Volume Down' button. Hold power button until Apple logo does not appear on the screen. 'Notes' app consists of iCloud notes and notes saved in your phone. Chances are your notes might be synced and may come back once you enable the 'Notes' service. Visit 'Settings' > tap on your 'Apple ID' at the top > 'iCloud' and slide right to turn on 'Notes'. Chances are that the Notes may be synced with Email settings. To ensure that your Notes may be synced, go to Settings > 'Accounts & Passwords' and turn to 'Account' (for instance, Gmail) > Click on your account and check whether 'Notes' are turned on. To recover iPhone notes, we recommend you to use Tenorshare UltDatarecovery software, one of the best software that allows the users to recover Notes directly from the device even when, the user has failed to maintain the backup. With UltData, the user gets the leverage to manually select the data and retrieve it back to your updated device in a blink of an eye. Follow the thread of steps below to recover lost notes on iPhone X/XS/X Plus/8/7/6/6 Plus/5s after iOS 12 update. Step 1: Download UltData on your system and draw a connection with the iOS device using an USB cable. By default the 'Recover from iOS device' mode will be selected. Step 2: The connected device will appear with the enlisted data types. Tick 'Notes and attachments' for recovering the lost notes on iPhone and proceed forward with an in-depth analysis by clicking on 'Start scan'. Step 3: After this, the preview screen will list down the selected files. To view the entire region, tick on 'Show All' or 'Only Display the Deleted Items' to see the deleted items. Step 4: Once you are contented with previewing, proceed to retrieve the disappeared iPhone notes, select the 'Recover' option. This way your data will be recovered. Have you off-lately witnessed iPhone notes disappeared after update? With Tenorshare's UltData selectively restore Notes from the iTunes backup. Follow the comprehensive guide below. Step 1: Load Tenorshare's UltData on your system and get your iPhone X connected using the USB cable. Select 'Recover from iTunes Backup' and within moments, available backups will display. Opt for the backup file that has maintained the lost data of Notes and then hit the 'Scan' tab. Step 2:	After scanning, the program will redirect to the preview page, where the list of contents will display on the left panel. Select 'Notes' to recover it. You can also tick mark other options as well. Step 3:	Carefully scrutinize your selections. Once you have gained the insight of the files, hit the 'Recover' button. This way, lost notes on iPhone will be recovered. Notes went missing after the latest iOS 12 update? Follow the below steps to recover your lost notes on iPhone after update. Step 1: Connect iOS device with your PC/Mac and launch UltData recovery software. Switch to 'Recover from iCloud Backup' and login with your Apple credentials. Step 2: The program will display your device with the list of available backups. Click on the backup file that contains notes and hit the 'Next' tab. Step 3: The backup page with its enlisted data types will appear. Tick mark 'Notes' to retrieve it or select the entire region by ticking on 'Select All' and tap on 'Next' tab. Step 4: The program will fetch the file from iCloud backup. Examine selections from the 'Preview' screen and click on 'Recovery' button. Preferably choose where you want to recover the files at 'Computer' or 'Device'. We've learnt about a variety of ways to recover the iPhone notes. While some can be used as trial basis but these won't work in the case where the data has been lost forever. And to ensure you retrieve the lost iPhone notes deleted after iOS 12 update, then make use of Tenorshare's UltData, reliable recovery software that lets you recover your Notes even when the user has failed to maintain the backup.